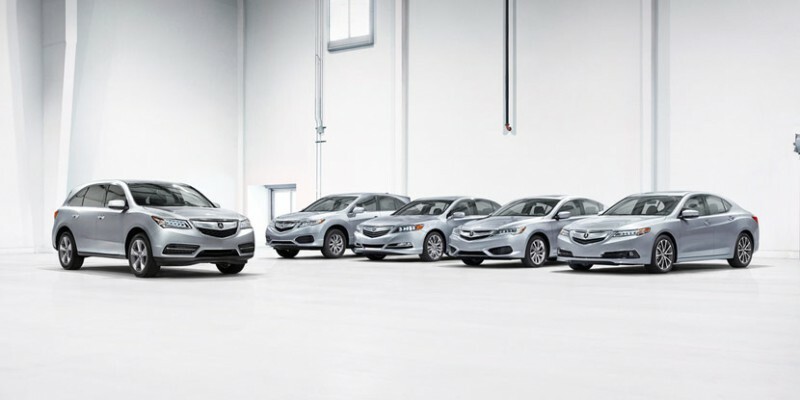 Aug 3, 2015 – TORRANCE, Calif.
Oct 15, 2015 – TORRANCE, Calif.
Acura has taken a safety leadership position as the only automotive brand to earn a 5-star Overall Vehicle Score in the NHTSA New Car Assessment Program (NCAP) and a TOP SAFETY PICK+ rating from the Insurance Institute for Highway Safety (IIHS) across its entire model line1. Based on the brand’s commitment to the latest safety design and implementation of advanced safety and driver-assistive technology, Acura earned top overall safety ratings from the U.S. government and the IIHS across its model line. Acura will showcase its leadership in a new high impact and emotional national advertising campaign (https://www.youtube.com/watch?v=2zzqtX514-Y&feature=youtu.be) highlighting the brand’s dedication to safety performance. This is the second time in Acura history that the brand has achieved industry-leading safety status by earning the highest available ratings from both NHTSA and IIHS at the same time across in its lineup. In 2009, Acura was the first brand ever to simultaneously earn top safety ratings from NHTSA and IIHS across the model lineup. Additionally, Acura was the first automotive brand to introduce advanced driver-assistive technology to the luxury market by offering autonomous emergency braking (AEB) with the introduction of its Collision Mitigation Braking System (CMBS) on the 2006 Acura RL. Acura safety leadership is further highlighted by the fact that the brand is the only automaker to offer all three advanced technology features (Front Collision Warning, Lane Departure Warning, and Rearview Camera) recommended by the NHTSA on all of its models, delivered in the AcuraWatch™ suite of safety and driver-assistive technologies2. Additionally, Acura is the only brand in the industry to receive the top rating of “Superior” across its model line1 for its front crash prevention technology. While other luxury automotive brands use close call scenarios and crash demonstrations to depict safety messages, Acura is taking a more emotional approach with its safety campaign by focusing on the brand’s philosophy of putting people first. The initiative is the first emotionally-driven safety campaign for the brand. In an integrated campaign, including :15, :30 and :60 spots; digital advertising and a dedicated landing page, the viewer sees an Acura engineer prepare for a controlled laboratory safety test and load human-like figures into an Acura MDX. The figures, a man; woman and two young children, are the engineer and his family. As the car accelerates, the camera cuts back inside the car to reveal the passengers have been traditional crash test dummies all along; the engineer envisioned the figures as his own family. The spot cuts away from the safety test and displays the message: “When you don’t think of them as dummies, something amazing happens.” The spot ends by promoting the brand’s achievement in earning top overall safety ratings across its entire model line. The campaign includes placement on national network and cable television, major web portals, video streaming and digital lifestyle verticals. 1IIHS Top Safety Pick+ claim applies to 2016 model year vehicles except TLX, where only the 2015 TLX has been tested. Government 5-Star Safety Ratings are part of the National Highway Traffic Safety Administration’s (NHTSA’s) New Car Assessment Program (www.SaferCar.gov). 2Information about crash avoidance technologies as part of the Government 5-Star Safety Ratings program can be found at www.SaferCar.gov. The overarching concept for the design and development of this next-generation NSX was the idea of a “human-centered supercar,” one that places the driver at the center of its mission in each and every element of its design and dynamic performance. Front Suspension – The all-aluminum front suspension has been optimized with compact and lightweight components and suspension geometry developed for superior handling performance, crisp and communicative on-center steering feel, and excellent stability. Rear Suspension – Featuring lightweight all-aluminum components, the rear suspension employs a sophisticated independent multi-link design. Optimized for circuit driving, Track mode invokes the most aggressive settings and parameters to deliver the fastest and most consistent lap times possible, along with maximum acceleration from a standstill when utilizing launch control mode). The braking system offers enhanced performance-oriented pedal feel. Up/down gearshift execution of the DCT and performance of the Super Hybrid SH-AWD and active driver aids (VSA, AHA) are programmed to support circuit limit driving, and an even greater amount of engine intake sound permeates the cabin for a more heightened and emotional driving experience offering enahanced driver feedback even when wearing a helmet.This setting also prioritizes the lithium-ion battery state-of-charge to maintain a consistent level of torque delivery and direct yaw moment from the three electric motors to ensure consistent dynamic response and lap times. Apr 22, 2016 – TORRANCE, Calif.
Acura has taken the luxury crown for projected retained value for the fifth consecutive year, earning the Edmunds Best Retained Value® award for luxury brands. Acura tops all eligible luxury brands with the highest projected residual value of 47.6 percent after five years of ownership based on the average Edmunds True MarketValue® (TMV®) price when sold as new. Acura has been presented a brand-level Best Retained Value award more than any other luxury brand in the award’s six-year history. In addition to capturing the Best Retained Value award for luxury brands, Acura was named the top luxury brand by KBB for having the lowest cost of ownership over a five-year period. Acura was lauded by KBB with a ‘Five Year Cost to Own’ award for offering content-rich vehicles coupled with class-leading fuel-efficiency and high resale values for an overall projected low cost of ownership over a five year period. These industry accolades come as Acura closed out 2015 by posting its fourth consecutive year of sales increases and the brand’s best sales year since 2007. As Acura celebrates its 30th anniversary in 2016, the brand is on the eve of launching the next-generation NSX supercar as well as a significantly restyled MDX luxury SUV, the best-selling three row luxury SUV of all-time. Along with strong sales momentum and a robust lineup of precision crafted automobiles, Acura captures a greater rate of Millennials than any other luxury brand in America, and the RDX luxury SUV and ILX sport sedan each lead their segment with these coveted buyers1. To be eligible for an Edmunds.com 2016 Best Retained Value Brand Award®, a brand must have had more than 100,000 unit sales in 2015 and have eligible models competing within at least four vehicle type categories. Each model year 2016 vehicle that was launched by the end of 2015, that achieved unit sales in February 2016 that represented at least 25 percent of average unit sales for the models in its vehicle type category, and for which there was at least three months of Edmunds True Market Value® data was eligible for this year’s model-level Best Retained Value® Awards. Edmunds determined each model’s vehicle type category for the 2016 awards based on its body type segment; for certain categories, the size of the model within its body type segment; and for certain categories, the model’s price and/or its competitive segment. More details on Edmunds.com’s Best Retained Value® Awards can be found at http://www.edmunds.com/car-reviews/best-retained-value-cars.html. 1Based on IHS Automotive, Polk new U.S. retail vehicle registrations as a percentage of overall brand sales for all luxury brands, the Luxury Compact CUV segment, and the Luxury Traditional Subcompact segment and age of head of household data for 18-34 year olds for CY2015. Aug 2, 2016 – TORRANCE, Calif.
American Honda Motor Co., Inc. today reported July sales of 152,799 Honda and Acura vehicles, a 4.4 percent gain over last July and a new July record. Total American Honda truck sales set a new all-time monthly record of 77,740 sales to jump 10.1 percent. The Honda Division set a new July total vehicle sales record, rising 5.9 percent on sales of 139,125, while Honda trucks set an all-time monthly record with a 12.2 percent increase on sales of 68,518 vehicles. Honda car sales were up 0.4 percent for the month, netting 70,607 sales. The Acura Division, though gaining momentum with the launch of key new models, posted July sales of 13,674, a decrease of 8.3 percent versus last year. The Acura brand’s renewed commitment to Precision Crafted Performance continues to take shape in dealer showrooms with the first deliveries of the all-new Acura NSX and the refreshed 2017 Acura MDX – the first model to reflect the new design direction that debuted with the Acura Precision Concept. On the market just five weeks, the newly-refreshed 2017 MDX posted strong sales of 4,902 units in July despite inventory issues related to the ramp-up of production. The NSX has brought high energy and excitement to Acura showrooms as the world’s first customers of NSX begin to take delivery of the only supercar made in America. May 2, 2017 – TORRANCE, Calif.
American Honda Motor Co., Inc. today reported April sales of 138,386 Honda and Acura vehicles, a decrease of 7.0 percent from year-ago results. The Honda Division saw a decrease of 6.3 percent on sales of 124,254 vehicles, while Honda trucks were up year-over-year, posting a 1.2 percent gain on sales of 61,114 units. Acura Division sales of 14,132 cars and SUVs were up from last month and were led by the TLX sedan with a 39.1 percent jump in April versus year-ago results. Acura division sales of 14,132 units were led by TLX, which posted its best month since October 2015 on sales of 5,258 units, up 39.1 percent from last April, following a strong first-quarter marketing campaign. Next month TLX will receive an additional boost with the launch of the significantly redesigned 2018 model, with three distinct variants including a new V6-powered A-Spec model, adding aggressive new styling to the performance luxury sedan. Acura light truck sales remained strong with MDX and RDX combining for sales of over 7,845 units, with the launch of the new 2017 MDX Sport Hybrid expected to boost sales in the months ahead. Dec 1, 2017 – TORRANCE, Calif.
American Honda Motor Co., Inc. today reported November sales of 133,156 Honda and Acura vehicles, an increase of 8.3 percent over November 2016 and a new November record for the company. Honda Division reported an increase of 8.2 percent on total sales of 120,440 for a best-ever November, with cars rising 0.9 percent on sales of 57,459, and Honda trucks up 15.8 percent on sales of 62,981 for yet another new record. Acura Division sales climbed 9.5 percent in November, with cars gaining 11 percent on sales of 3,600 and trucks rising 8.9 percent on sales of 9,116 units. Rising across virtually the entire lineup, Acura sales gained a solid 9.5 percent in November. MDX sales were up substantially with the move to the East Liberty, Ohio plant alongside stablemate RDX. NSX made big strides, while TLX gained 12.4 percent over November 2016. MDX sales gained 15.6 percent for the month, with 5,341 units sold. RDX set a new November record, rising 0.7 percent on sales of 3,775 vehicles. NSX notched sales of 83 units, a gain of 62.7 percent over November 2016. TLX sales were up 12.4 percent on sales of 2,564 in November. Jan 3, 2018- TORRANCE, Calif.